The technology involves quantum effects between layered materials that convert natural and ever-present ambient sources of energy into electrical power. The moving generator parts are designed to operate on a magnetic bearing, thus preventing mechanical wear for an unlimited lifetime of continuous use. 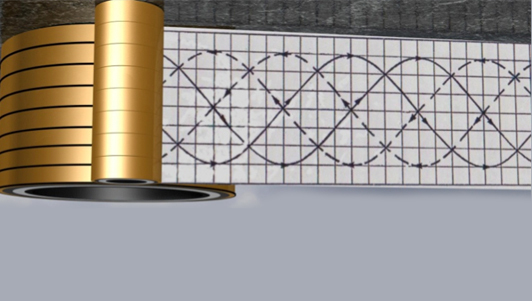 An STG consists of 3 large ring-type stators (generators, about which, or in which a rotor rotates) that are specially magnetized with patterns designed to generate continual motion of similarly magnetized cylindrical rotors. The rotors are free to rotate around the stator rings with mutually interactive eddy currents of induction that form frictionless magnetic bearings between moving parts. In the process, electrons are paired (bosons), accelerated outward and harnessed for their kinetic energy before they eject out to the ionized air. This makes for an open energy cycle that extracts ever-present ambient energy out of the environment without violating any known laws of thermodynamics-it cools down the ambient air only for its inherent energy with increased electrical generation. STGs cannot overheat, and are totally safe to operate in any environment - households, offices, factories, buildings, shopping centres, motor vehicles etc. 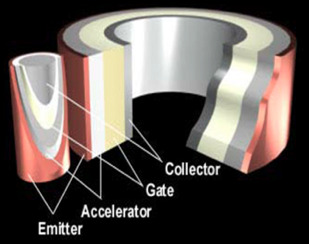 An STG unit will convert random energy at the quantum level into a coherent flow of electron currents, ideally suited for the world's demand for green energy that is as benign to the biosphere as a solar cell or hydroelectric dam. The STG is based on actual technology that has existed for many years. A working prototype had been created by Dr. Paul Brown in the 1980s. The STG is designed to deliver electrical energy on demand and to respond instantly and systematically to changing load conditions. It is a frictionless and noiseless generator that never wears against its moving parts, adding value to the product and enabling it to operate uninterrupted indefinitely. The design can be engineered from 15 Kilowatt of electrical output at minimum, and then scaled up in size to meet larger electrical output requirements well into the gigawatt range as a single large unit or in tandem with smaller ones. Spintronics technology will NOT create pollution nor contribute to global warming.